#SomethingNewEveryDay – That Ringing in Your Ears – Isn't That Marvelous? Last night, when the house was finally quiet, I sat down to catch up on some reading. Almost instantly, I heard a high-pitched ringing in my ears. This is definitely not the first time I experienced this, and I’ve always assumed that it’s some sort of reverberations that happen after your move from a very noisy environment to a very quiet one. The ringing has a name: tinnitus. It occurs when your ear’s outer hair cells, which vibrate to help you hear quieter sounds, go haywire and spontaneously oscillate. The oscillation then becomes audible until the nerves responsible for making it stop get the message – usually in about 30 seconds. 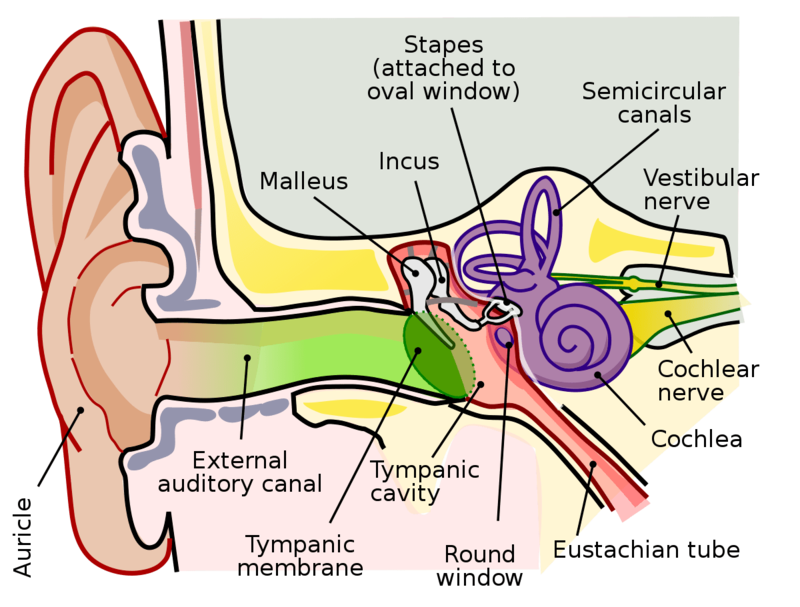 “Anatomy of the Human Ear” by Chittka L, Brockmann A – Perception Space—The Final Frontier, A PLoS Biology Vol. 3, No. 4, e137 doi:10.1371/journal.pbio.0030137 (Fig. 1A/Large version), vectorised by Inductiveload. Licensed under CC BY 2.5 via Wikimedia Commons. For more about tinnitus (and when it’s not “normal”), click here.